Every now and then, God has to check up on his most beloved creation - Yorkshire people - and bless them with something truly special. In this recent case, he treated a North Yorkshire couple to a flight on which they were the only passengers. 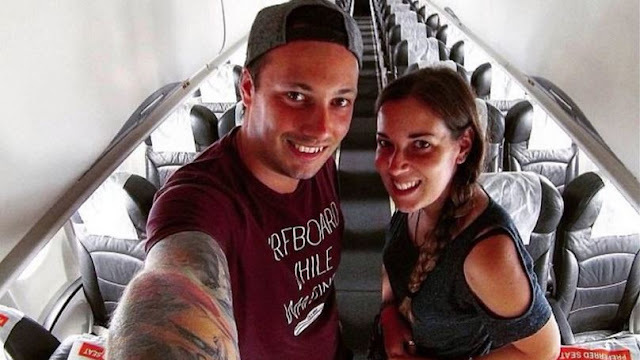 Carrie Fisher (interesting name), and her fella Kyle McNichol, from York, were delighted to find they didn't have to deal with crying babies or IBS sufferers ruining toilet experiences on their flight from Krabi, Thailand, to Penang in Malaysia. I'm a fairly laid-back guy, so if I were in this situation, I'd probably just take a selfie, stick it on Facebook, endure the flight, get off at the airport, and see that six people had liked it. But this couple weren't gonna settle for that. They were far more adventurous. The couple, who are both 28, were left confused when the check-in desk told them that it was a special day. Even staff checking their passports for the flight, operated by Malaysian airline Firelfy, were laughing and saying 'just you two'. 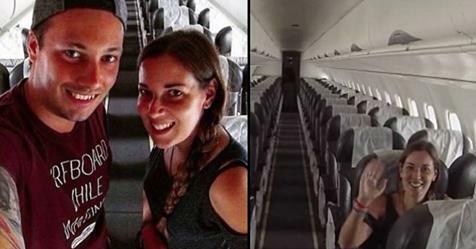 It was only when the couple noticed that no one else was getting on the bus to board the flight that they realised they were getting taken to their own private plane. Fisher said to Mail Online: "I was shocked, and a little nervous. "Kyle was really happy about it - it was something he'd hoped would happen. "We were told that it was a special day when we handed our bags over. Everyone from the check in staff to immigration were laughing their heads off at us." Even staff at Penang airport were laughing. Doesn't that remind you of that Family Guy episode where Stewie and Peter kidnap Lois, leave her to drown in a lake, drive back, eat at a diner and go home while laughing all the way? In a post following the flight, Carrie wrote: "The next hour and 10 minutes passed quickly, we spent the time seat hopping and Kyle has now added to his facial injuries by doing the slug." And there's a video to prove it. For some reason, it's got a soundtrack akin to some 80s American agency advert where a golf-playing CEO tells you why you'll love being a part of his business. Carrie adds: "For those that don't know, he basically just slides along the floor with his bum on the air. "Stepping off the plane in Penang, the ground staff all started laughing at us too, and another lady escorted us to immigration, where again they laughed and asked us about our solo flight. "Feeling like VIP's, I was shocked that someone didn't collect our two lonely bags off the carousel for us. Kyle's going to need some luck now that I've had a taste of the good life." Alright Carrie lass, calm down.